The power company intends to increase its presence in the rapidly growing Turkish market. But above all, investments will be made in Austria. 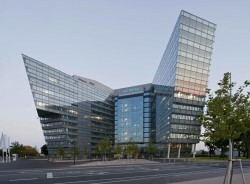 Austria´s biggest company posts a strong operating performance compared to previous year. While sharp criticism of the pipeline project is heard again from Moscow, there is optimism at Nabucco. The Carinthian developer of wind turbines has catapulted in just five years to the the position of global market leader. Umweltdachverband: Electricity Industry Power Plant List is Utopian! Energy projects are unrealistic, alternatives have been ignored and the environment is neglected completely, according to the accusations. The domestic energy industry has numerous plans to expand capacity. However, political will is containing them. Austria's electricity companies are currently planning the construction and expansion of more than 80 power plants. 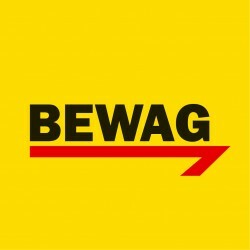 Change of Leadership at Bewag? According to reports, there are plans for a premature replacement of the board at the power company from Burgenland. An increase of 6.7% was recorded for energy prices in the yearly comparison. The relevance of alternative energy sources will increase significantly in future, as energy price increases are expected to continue in the long term. An informal consultation is said to have been held between the governing parties to keep the government stake in OMV, should there be a capital increase. With an investment volume of 550 million euro, the Verbund operates together with its Turkish partner Sabanci Holding, a gas-steam power plant. Siemens Austria is involved in a project to develop the electricity industry in Georgia. The infrastructure project will act as a bridge between Russia and Turkey. Against the minimum quota of 30 per cent offered by Mirko Kovats 30 resistance is forming. A-Tec announced that the negotiations of the daughter AE & E are well underway on renewal of the credit facility. 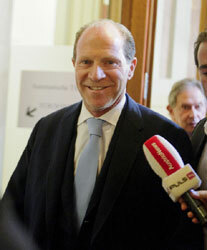 Economy Minister Mitterlehner speaks of a possible moderate increase. The capital increase for the biggest domestic electricity generator will allow large investments in energy infrastructure and thereby accelerate new power generation projects. 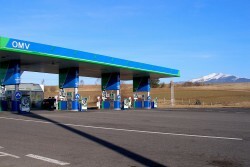 The Austrian Federal Railways (ÖBB) have signed a framework contract with Markus Friesacher for up to 35 low-cost gas stations on dormant property. There was consensus in the Vienna-based OPEC. Members show their satisfaction with the current situation. 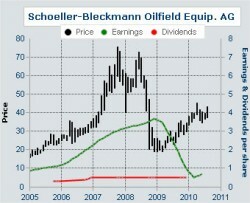 Schoeller-Bleckmann Oilfield Equipment AG (SBO), listed on the ATX market of the Vienna Stock Exchange, has successfully completed acquisition of Drilling Systems International Ltd. (DSI). With the Supervisory Board’s approval, the Managing Board of EVN AG has resolved on a capital increase from authorized capital through the issuance of up to 16,352,582 new ordinary no-par value bearer shares. Households have to pay on average 5.4% more for energy in Austria than one year ago. Diesel is 10.4% more expensive in the yearly comparison. Baur: Sales Growth and Eastward Look. 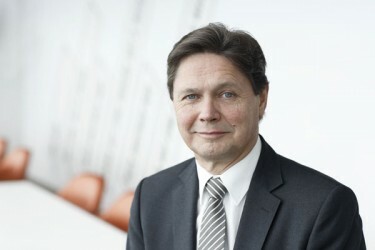 Baur Prüf- und Messtechnik reported a moderate growth in sales during the crisis year. 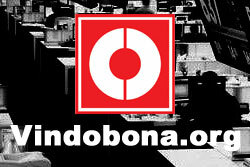 Now the company wants to continue growing abroad. Renewable energies are a rising trend. This has been recognized by the domestic Energieallianz Austria(EAA), a subsidiary of the energy provider for Vienna, Lower Austria and Burgenland. The Finance Minister met with the British Energy Minister Charles Hendry for talks about the energy policy in the EU, the development of renewable energy sources and increasing the security of energy supply. After four years of delay Schlaff is reported to be planning the takeover of several Latvian transport companies. The Greek businessman Vasileios Xeniadis is prepared to offer 1.35 billion euro for Hypo Alpe Adria. Today, Prime Minister Bokyo Borissov, Provincial Governor Erwin Pröll and EVN's CEO Burkhard Hofer oversaw the ceremony for the construction of a highly efficient cogeneration plant in the city of Plovdiv. Putin: Gas pipeline Nabucco with "little chance of success"
Putin gives the competition project of the South Stream gas pipeline little chance of being realized, because as of now, Nabucco has no suppliers. Those interested are European companies. 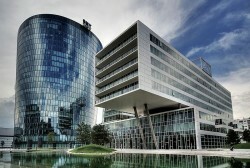 By mid 2011 the partial sale of Innkraftwerke shall be completed. Right now the current prospects review the economic documents. The electricity price index for October 2010, calculated by the Austrian Energy Agency (Österreichische Energieagentur), indicates that in October prices of electric energy will fall. Miba, strategic partner to the international engine and automotive industry, has acquired EBG and DAU, producers of power electronics components, as of September 1, 2010. Economic recovery brought growth for the Corinthian energy provider in the first half of 2010. The energy supplier earned €204.9m ($261.6) in the first nine months of the current fiscal year, 16.7 percent more than a year ago. The long winter in Austria helped. Siemens Austria has been named the global interface for the small hydropower plant activities of the Group. The EU's competition authorities have approved a joint power plant project of Verbund and EVN in Albania. Due to the focus on KTM´s core business and its efficient cost management, KTM managed to find the fastest track out of the crisis despite slightly lower sales. Lower Austrian electricity company plans to acquire 70 percent of a hydroelectric project. C.A.T. oil AG, one of the leading providers of oil and gas field services in Russia and Kazakhstan, has been announced as the winner of two tenders for hydraulic fracturing services in Western Siberia. The only treasure of Austria must remain in own sphere of influence. 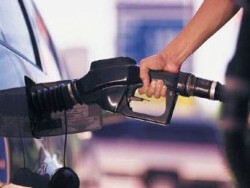 Fuel prices have risen strongly again, oil is more expensive by a third, but gas is cheaper than a year ago.